Ted E Bear is an adorable addition to any nursery. Measures apx 12 x 18. 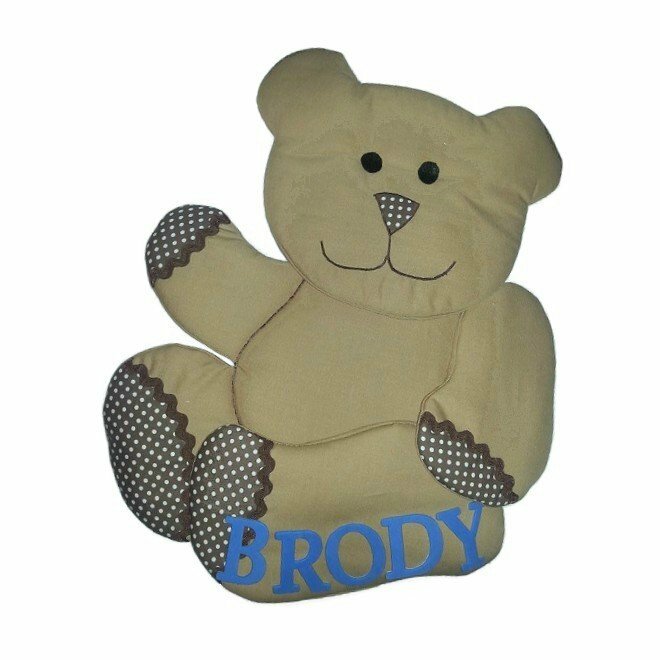 Our Ted E Bear Wall Design is personalized FREE (up to nine letters long). Ribbon is included for easy hanging. Fabric wall design is quilted with batting and foam and has unique details.